Using sensitive measures of brain function, researchers found that young adults in their twenties with a history of concussion before age 18 not only had chronically impaired higher-order neurocognitive function, but that lower-level sensory and perceptual processing was also negatively affected compared to those without a concussion history. The findings, published online in the Journal of Athletic Training, add to a growing body of research on long-term deficits stemming from sport-related concussion, and suggest that "concussive injuries can disrupt fundamental elements of higher-order neurocognition by chronically impairing attention, working memory, inhibition, and interference control," as well as "lower-level sensory and perceptual processing," says Steven P. Broglio, PhD, ATC, Associate Professor of Kinesiology and Director of the NeuroSport Research Laboratory at the University of Michigan, one of the studies' co-authors. The studies also provide further support, Dr. Broglio said, for the use of electroencephalography (EEG) - which records neuroelectric activity in the brain from electrodes placed on the scalp, and which has been in use for almost a century - as a research tool to detect specific but subtle deficits in neurocognitive function associated with concussion in areas of the brain involved with attention, perception, memory, and visual and sensory processing. The use of a sensitive measure of patterns of neuroelectric activity that occur in the brain in preparation for or in response to an event (called event-related potentials or ERPs), and of the electrophysiologic signals passively evoked in the brain in response to visual stimuli (called visual-evoked potentials or VEPs), writes Broglio, also "may prove useful for identifying, targeting, and evaluating interventions in persons with atypical recovery rates," and be used by clinicians to "better understand injury severity, evaluate cognitive training gains, and contribute to novel rehabilitative approaches." "Efficient visual processing and sensory integration are essential to day-to-day functioning, but the visual system of a concussed person typically is unevaluated," notes Broglio. "VEPs represent an underused and potentially valuable tool for evaluating and understanding sensory and nervous system dysfunction after [concussive] injury." "How long it will be (if ever) before ERPs will be commonly used clinically" Broglio said he had no way of knowing. "There are several companies seeking FDA approval for sideline/locker room use [of ERPs] in concussion diagnosis, while others are looking at more traditional use in a medical facility. Even with FDA approval it will take awhile before it is widely adopted clinically." The studies provide "another indication that the brain is affected by concussion," said Dave Ellemberg, PhD, Professor in the Department of Kinesiology at the University of Montreal, was not involved in the current studies, but authored an earlier study  which used some of the same sensitive measures of brain activity as Broglio and his colleagues in finding that concussion had lingering effects on the working memory of teenagers six months after injury. Dr. Ellemberg is also the author of a first-of-its-kind French-language book for parents on sport-related concussion, Les commotions cérébrales dans le sport: un épidémie silencieuse (Concussion in Sport: A Silent Epidemic). Dr. Ellemberg cautioned, however, that the small number of subjects studied (19 concussed participants), the predominance of females (14 out of 19), variability in terms of the number of concussions (5 of the 19 reported two or more), and time since injury (an average of 7 years, but a range from 3 to 11 years), made it "difficult to draw conclusions" from the studies. "We don't know the role of time since injury as a factor for recovery. While the studies clearly show persistent, perhaps permanent damage from concussion, there are many things that may be buried within the data because it presents a group average." Because a history of three concussions "seems to be a threshold" for chronic cognitive deficits, he also wondered whether perhaps the concussed subjects who suffered three or four concussions were the ones with the persistent deficits." Ellemberg said that additional studies, either with a more homogeneous, tightly matched group of subjects, or much bigger sample sizes, would be necessary to isolate the factors responsible for the deficits found in the Broglio studies. Sport-related concussions has been traditionally viewed as a transient injury without long-term consequences, although the studies on this relationship are mixed, and the tests used were not designed to detect subtle long-term decline in cognitive performance after injury. Over the past several years, Broglio and his colleagues have wondered whether, if more sensitive cognitive measures were utilized, differences in cognitive function between those with and without a history of concussion might be detected. In three earlier studies,[4-6] they looked at college students with and without a history of concussion and found changes in gait, balance, and in the brain's electrical activity, specifically in the areas measuring attention, impulse control, and ability to self-correct inaccurate responses. The declines were present in the brain injury group up to six years after injury, though the differences between the study groups were very subtle, and outwardly all of the participants looked and acted the same. The current findings, coupled with those in those studies, add support to Broglio's argument that sport concussion can no longer be thought of as a transient injury resulting in a short-lived neurologic impairment, but that persistent electrophysiological changes exist well beyond the acute injury stage. "There is certainly growing body of evidence that, once the brain has been injured, it never returns to 100%," says Dr. Broglio. Given the clear subclinical differences on cognitive, visual, and motor control tests between the concussed and control groups, Broglio speculated that, as the concussion group ages, the changes may manifest into clinically significant functional impairments. While the cognitive reserve of previously concussed young adults likely compensates for the subtle deficits his five studies document, "as these individuals age and the anticipated cognitive declines associated with aging ensue, these differences may become larger and more meaningful in some portion of the population," wrote Broglio in one of the earlier studies. While some may be able to withstand a concussion without a clinically meaningful decline in function later in life, and intrinsic factors may play a role in the cognitive decline of otherwise healthy individuals, the concern is that "those with a concussion history may experience a faster rate of deterioration and face clinically meaningful declines at an earlier age and to a greater degree than their uninjured counterparts. Conversely, there likely is a subset of the population that may be able to sustain a concussion without clinically meaningful declines because of their reliance on cognitive reserve." "Given the increasing incidence of concussions among athletes and military personnel and the resulting societal effects, it is important to understand the specific deficits and the time course associated with concussion," Broglio writes. "Our results have clear human performance implications in athletic and military settings, where sensory and perceptual integrity is critical for successful environmental transactions and avoiding injury." With respect to visual processing, says Dr. Broglio, "we are suggesting that the inability to orient yourself to the environment will put you at risk for injury. For instance, if you cannot orient yourself to an on-coming car while crossing the street, you don't react in time to get out of the way. On the athletic field this may be orienting to an opponent." Further, he noted that "the observed deficits in attention and in conflict monitoring emerged only when cognitive demands increased," which was a "key point, as subtle yet persistent neurocognitive deficits stemming from concussion may go unrecognized in the absence of highly sensitive tasks and neuroimaging tools." "We think concussions may pre-dispose people to these declines as the age, but we don't have evidence to support our hypothesis yet," said Dr. Broglio. But "the last thing we want is for people to panic. Just because you've had a concussion does not mean your brain will age more quickly or you'll get Alzheimer's," Broglio was quick to emphasize. "We are only proposing how being hit in the head may lead to these other conditions, but we don't know how it all goes together just yet." supports the hypothesis that concussion can no longer be thought of as a transient injury void of long-term consequences. Individuals sustaining a single concussive episode in the teen years show subtle negative alterations in brain function and motor control. The magnitude of those changes in later life remains in question. Anecdotal findings suggest that many athletes with a limited number of injuries have continued on to be high-functioning adults, whereas others are at risk for earlier and more severe declines in cognitive and motor performance. ... Despite the subtle changes in brain functioning, alternate cerebral pathways are recruited to achieve the same goal without clinical deficit. With time, aging, and the influence of various lifestyle and environmental factors, these alternate pathways may become less effective with clinical consequences in both cognitive and motor function. Having now looked at people in their 20's, in the next phase of study, Broglio and his colleagues plan to look at people in their 40s and 60s who did and did not sustain concussions during high school sports. They hope to learn if there is an increasing effect of concussion as the study subjects age. 1. Moore RD, Broglio SP, Hillman CH. Sport-Related Concussion and Sensory Function in Young Adults. J Ath Tr. 2014;49(1):000-000. doi:10.4085/1062-6050-49.1.02 (published online ahead of print). 2. Moore RD, Hillman CH, Broglio SP. The Persistent Influence of Concussive Injuries On Cognitive Control and Neuroelectric Function. J Ath Tr. 204;49(1):000-000. doi:10.4085/1062-6050-49.1.01 (published online ahead of print). 3. Baillargeon A, Lassonde M, Leclerc S, Ellemberg D. Neuropsychological and neurophysiological assessment of sport concussion in children, adolescents and adults. Brain Injury 2012;26(3):211-220. 4. Broglio SP, Eckner JT, Paulson HL, Kutcher JS. Cognitive Decline and Aging: The Role of Concussive and Subconcussive Impacts. Exer. and Sports Sciences Review. 2012;40(3):138-144. 5. Broglio SP, Pontifex MB, O'Connor P, Hillman CH. The persistent effects of concussion on neuroelectric indices of attention. J. Neurotrauma 2009;26:1463-1470. 6. Pontifex MB, O'Connor PM, Broglio SP, Hillman CH. 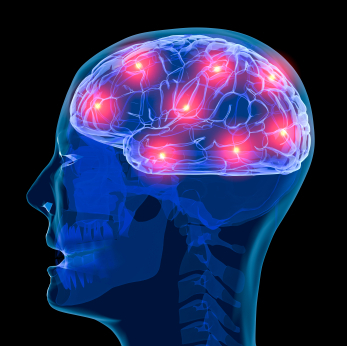 The association between mild traumatic brain injury history and cognitive control. Neuropsychologia 2009; 47:3210-6.